Some exciting news for east end Guelph. 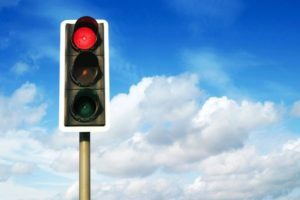 A recent traffic study completed at the Watson/Eastview intersection on September 20th demonstrates new signalized traffic lights are warranted . Please see below correspondence received from staff today (Oct 7, 2016). Traffic Information was collected at this intersection on September 20, 2016. The information collected is comprised of the 8 highest hours of travel throughout the day and includes vehicles, pedestrians and cyclists. The information is assessed based upon Provincial traffic signal warrants which establishes uniform criteria and thresholds for use throughout the province based upon the posted speed limit and the number of lanes. The results of the analysis of the September 20, 2016 traffic information indicates that the traffic signal warrant thresholds have been met. We also reviewed the historical traffic information collected previously to determine if the most recent traffic information is statistically sound in comparison and have established that there has been an overall growth in volume since 2013 and therefore are satisfied that a new traffic signal is warranted currently. The installation of a new traffic signal at this location is supported by staff. However, there are no funds in available 2016 for the installation. Funds have been identified for the installation of new traffic signals throughout the City in the proposed 2017 Capital Budget and 10 Year Forecast that will be coming before Council for consideration and approval shortly. If these funds do receive approval we will be able to proceed with the installation in spring-summer of 2017.